The New York Pinknic Festival commissioned artist Cyril Lancelin of creative studio Town and Concrete to create a giant sculpture for the event. 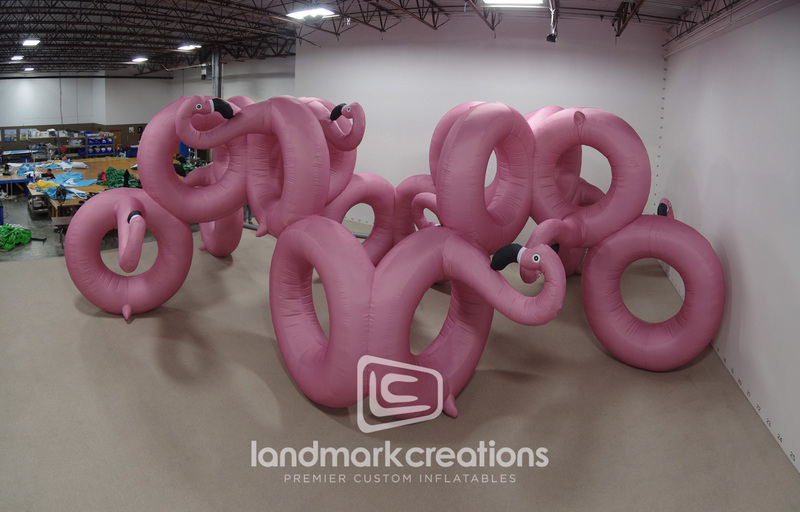 By using inflatables as the medium for his immersive installation, ‘flamingo torus’ he simulates the look and feel of flamingo pool floaties. Durable, transportable, and reusable- inflatables are a perfect way to make artistic visions come to life without all the back breaking and costly work of hard-form, permanent art installations.